We wanted to feature this private residence because of the deep emotional connection our client had to the space. Her father grew up in the house. In fact, as many as three generations had lived in the house before her, and she was excited to do gut renovations, but anxious about the changes she was making – not just to the home, but to the preservation of her family's past. 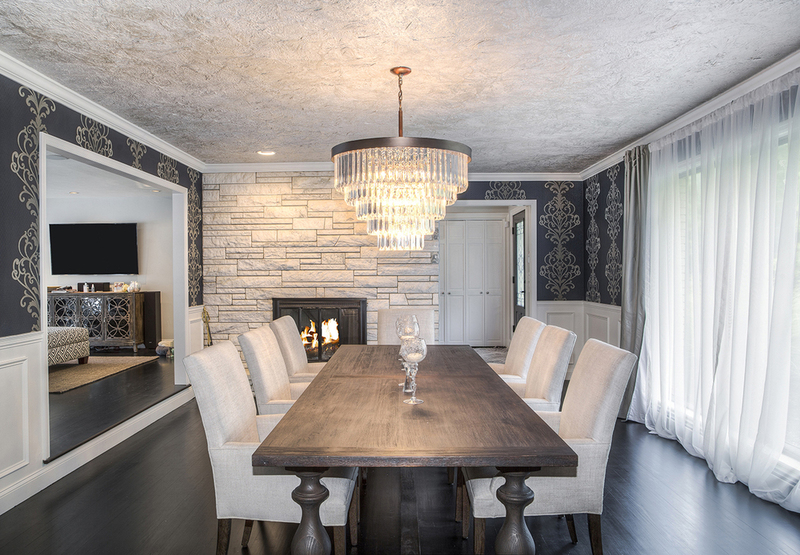 One of the ways we worked with this client was to uncover ways to a more modern space and design, but hold on to various touches and nods to the past. For example, all of the finishes we used belonged to her grandparents – original stonework on the fireplace, entryway stone, even the original colors were preserved in certain rooms, while making it more updated.